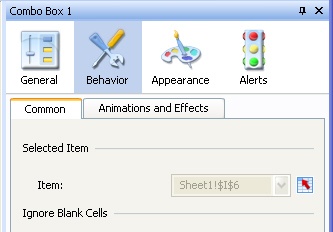 Question: In Xcelsius, can I use the “Filtered Rows” functionality to move and filter data from one place to another? Answer: Yes, however, if you use that functionality directly from an interactive selector, then only one set of data will be able to be moved. 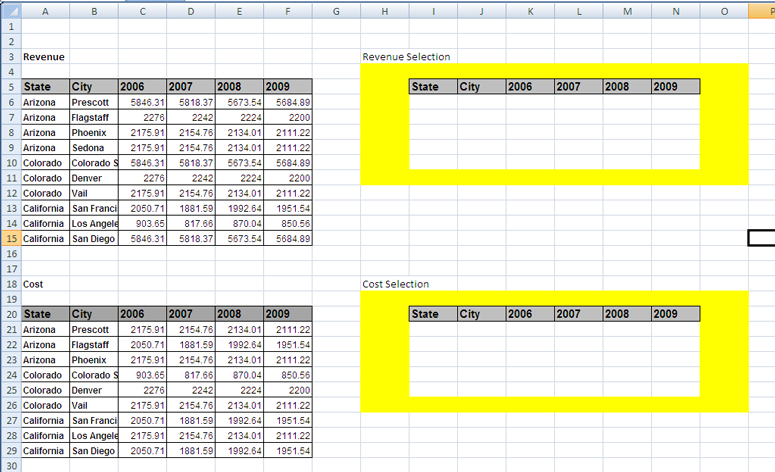 In this example, we have 2 sets of data, “Revenue” and “Cost”. We have a “Label” menu to select the “STATE” and then this selector will use the Filtered Rows functionality to move the “State” selected data to a different place in the dashboard. 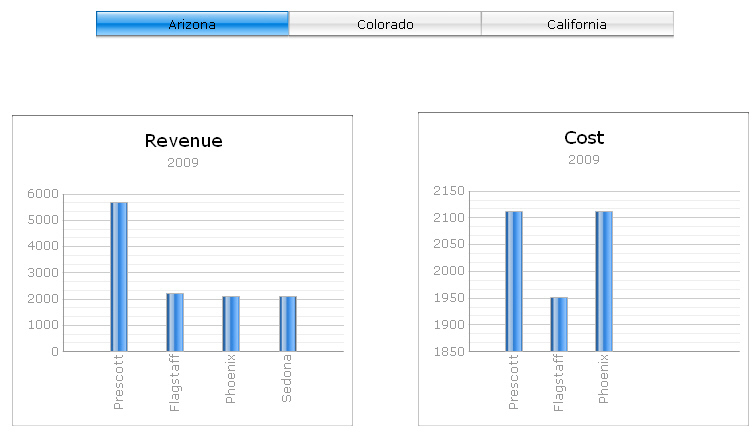 For instance, if we select “Arizona” in the dashboard, only the rows for “Arizona” in the REVENUE” table will be moved. We also want to move data from the “COST” table, so we need to either put in some formulas, or we can use another selector that has the Filtered Rows functionality and then we can hide this selector. After this, we can add two charts to show the data selected. I have a requirement in which I should be able to select multiple states and achieve filtered rows functionality. I have a similar dataset with duplicate names like Arizona, Colarado etc. Instead of a label based menu I would like to do multiple selects and then filter and move the rows. Is there a way this could be achieved.